Seth Power has been a singer songwriter since he was 14, and he draws inspiration from personal experiences. 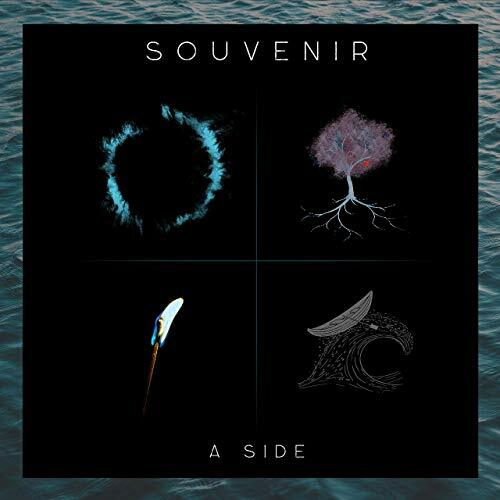 It’s no wonder then the songs on Souvenir – A Side are heartfelt. This is his first full length album, and this is the first part, with part 2 coming in spring 2019. And if the 4 songs here are any indication we have a lot to look forward to. The songs are a mixture of folk, blue, pop, rock and with tinges of soul. As the opening track, Closure tackles that most difficult part of ending a relationship, getting closure. The lyrics I don’t love you./ I never did. / Who can say why are all too familiar which makes the song easy to relate to. The lyrics are also complemented by soft, soothing guitar. Trying to move on or trying to make sense of a broken relationship are beautifully rendered here. After All is a love song where he shares with us, through lyrics, love at first sight. How many of us fancy that among the crowd, that person would notice us? The lyrics are further enhanced by the low key, but efficient guitar strings. The melodies playing at the end adds the right touch to the song. The next one is Notice , about bumping into an ex and not knowing what to say. Themes of forgive and forget are present here accompanied by some slick strings and quiet, clear vocals. The final track is Save Me. The song’s structure is still stripped to the essentials, but lyrically it is the most complex. With lyrics like Right from the start my heart chose you / If we stay strong and carry on / We’ll see it through the song talks about how a relationship can make us stronger, and how we can save each other through love. This as much as anything reflects the deep introspection present in Souvenir – A Side.